It’s not audible! Surprised? Yeah I was too. So the best way is your local library. Essentially go to your local library and get a library card. That card number is important to an Overdrive account. Once you enter your library card number you get the entire world at your finger tips. 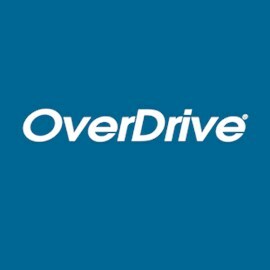 Just download the Overdrive app and enter the name of your local library and now you can borrow up to 10 books at a time either ebooks or audiobooks. I love it! I use it for long trips and I use it for drives. The best thing about it–it’s FREE!!! I originally found this a couple years ago and I felt it really annoying that a bunch of people on social media are trying to advertise Audible for their benefit, so I am spilling the beans about the most amazing way to read books. Not only that, but Overdrive can convert the books to a kindle file which allows you to read it on your e-readers too. Don’t get me wrong, audible is great for if you want to own the books, but borrowing them for 14 days is more than enough time to be able to get the information from it. Not only that, but it minimizes the space your books might be taking on your shelf. It is hard for me to read for fun nowadays with the rigor of medical school, but I think it is important for a balanced life. Reading things outside of work and school has allowed me to connect with so many more people. I love being able to learn as much as I can or discuss religion, social issues or just discuss some trashy enjoyable chic novels. I hope you found this helpful and are able to read for fun more now that it’s easily accessible.